Aw, yeah! Really happy to have this one, the first card on the checklist, in hand. 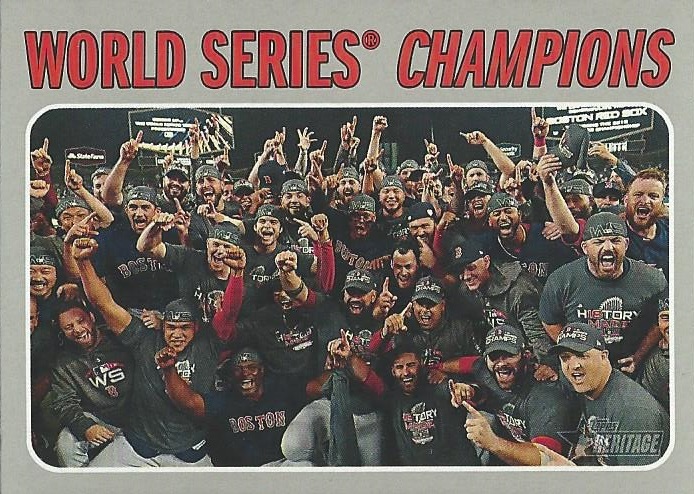 A great celebratory shot here of last season's World Series champs. 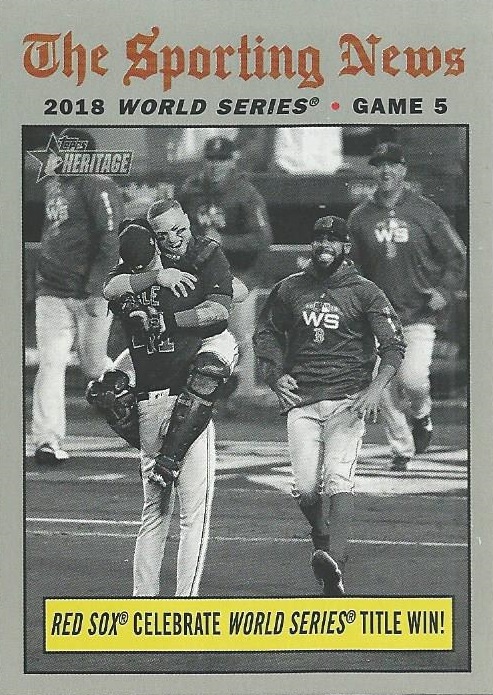 This card should be a requirement for any serious Red Sox collection. Not only are these the very first 2019 Topps Heritage cards I've managed to get my hands on, but this is actually my first card of Steve Pearce with the Red Sox as well. Not bad at all for some free throw-ins with an autograph! ...and the celebratory shot from Game 5, when Boston won it all. 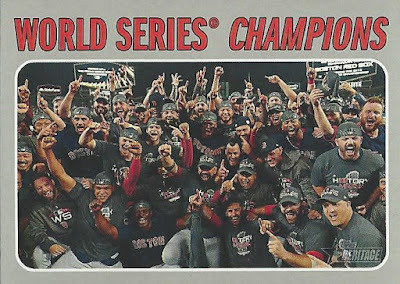 Another classic here for Red Sox collectors. There was also a Mookie Betts All-Star from this set in the envelope, but that one fell victim to the mail sorting machine I fear. 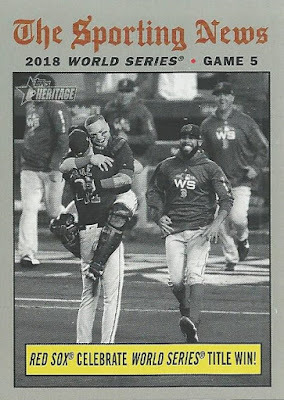 Still, what an awesome variety of new Sox cards from the four that survived. Sweet! Yes, Douglas was fortunate enough to pull this Hartford Whalers autograph from a re-pack, and kind enough to think of me as a destination for it. There certainly were some "outside the box" photographs used in the '96-97 Be A Player set by Pinnacle (Sean Burke playing the guitar, anyone? ), and Alexander Godynyuk's absolutely qualifies as one. I almost wonder if this was snapped at a team event or golf tournament, since he's wearing a Whalers-colored polo shirt. This was an amazing pull by Douglas not only because it's not every day that you pull a card like this from a re-pack, but also because I already have quite a few Whalers from this release but was missing this particular autograph card. 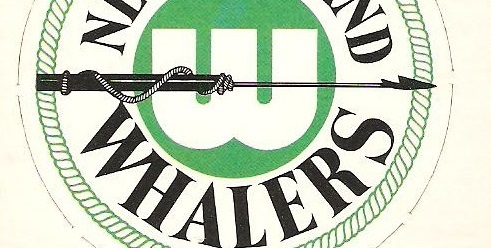 I'm still working diligently at getting all of my Whalers cards loaded into my collection on The Trading Card Database, and this hard-signed autograph is a much-appreciated addition. Thank you Douglas!!! Wtg Doug! 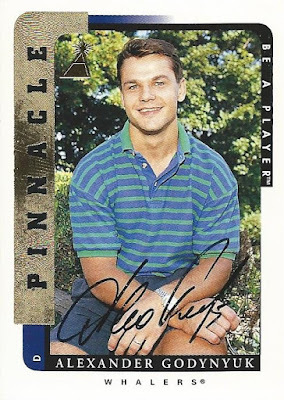 I have the Sean Burke auto but not this Godynyuk. 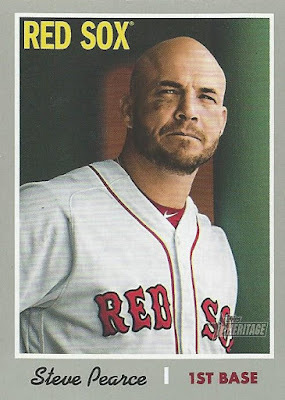 Also, I've got to start making some trades for those Heritage Red Sox. At least the main two cards, the autograph and Heritage #1, survived the sorter. 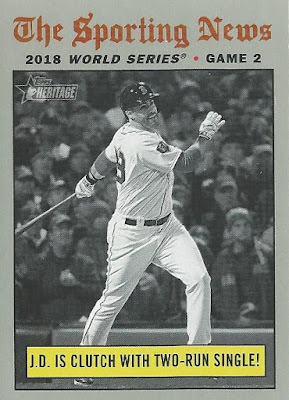 That Sawx card is pretty sweet. Burke on the guitar stands out as well. Nice w s cards. Not sure how I feel about the A.G. image but I wouldn't complain either.